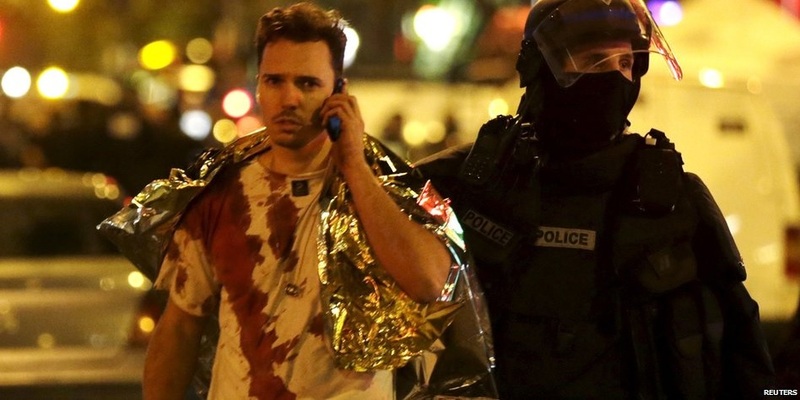 The death toll from the city-wide gun and bomb attacks in Paris has risen to 129, Paris’ prosecutor said on Saturday. 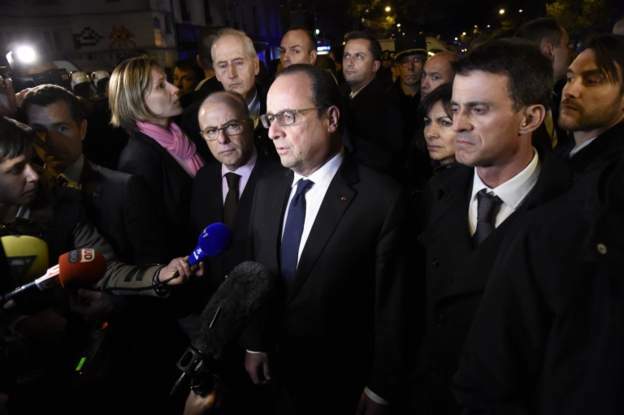 Following the attacks, French President François Hollande issued a state of emergency and announced via a televised address that the military has been deployed across Paris, putting the city on complete lock-down. The President also decided to close the country’s borders in the wake of what he called “unprecedented terrorist attacks”. The theater attack were one of six attacks across Paris. Health authorities have reported that 118 people were killed at the Bataclan theater in the 11th arrondissement after four armed attacks opened fire on the crowd and held dozens of hostages. BFMTV, a French television channel, reported that one of the gunmen attacking the Bataclan music theater shouted, “This is for Syria” before opening fire. The four attackers were killed after three of them wearing suicide vests blew themselves up as police raided the theater. Around the same time, there was an attack on a restaurant in the 10th arrondissement, killing 11. The restaurant is in the same neighborhood as the Charlie Hebdo office, where three gunmen killed several of the newspaper’s staff in January of this year. These attacks came shortly after twin blasts were heard outside the Stade de France stadium in Paris, where a friendly soccer match between Germany and France was being held.